Join hundreds of runners around the world as we run/walk together to fight cancer. It's your chance to run, remember loved ones who have lost the battle, and support cancer patients still in the fight. Just sign up, pick a time and place to run, and then post your results on Facebook! You may run with friends, a group, or on your own. You can even run it on a treadmill. It's your chance to fight cancer and be a part of something bigger! 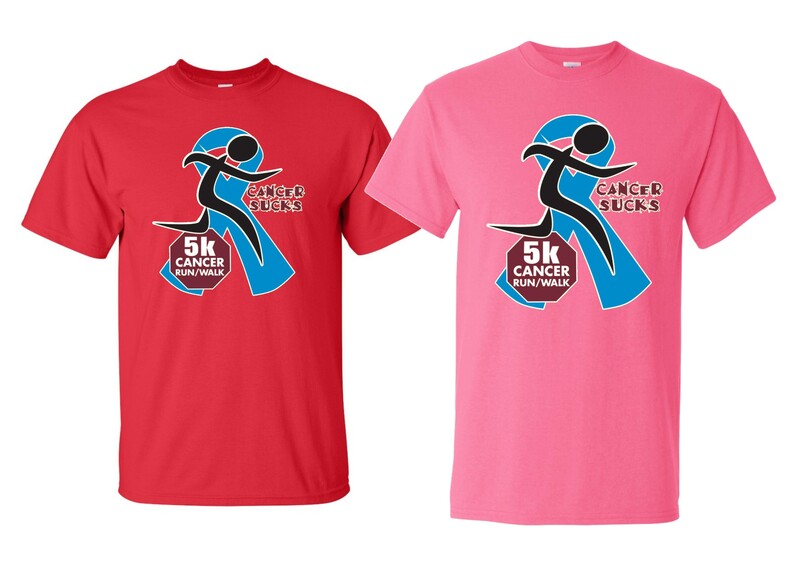 Your partnership with ZERO Cancer and the Pathetic Runner helps fund research, awareness campaigns and make treatment available to those in need! Or we can donate to Hope for Young Adults with Cancer; serving an epidemic of cancer patients, PanCan; finding a cure for pancreatic cancer, and the Melanoma Foundation of New England; who provide information and services to those who suffer from melanoma and their families. Just make a note on your PayPal order and let us know. Thank you for your support and enjoy your bling! MEDALS, SHIRTS, AND SHOE CHARMS WILL BE SHIPPED IMMEDIATLY! These are 3 1/2" polished medals in gold with high gloss colors and a 2-color neck ribbon. They are not stickers! These are Gildan soft cotton t-shirts. Printed on the front only. 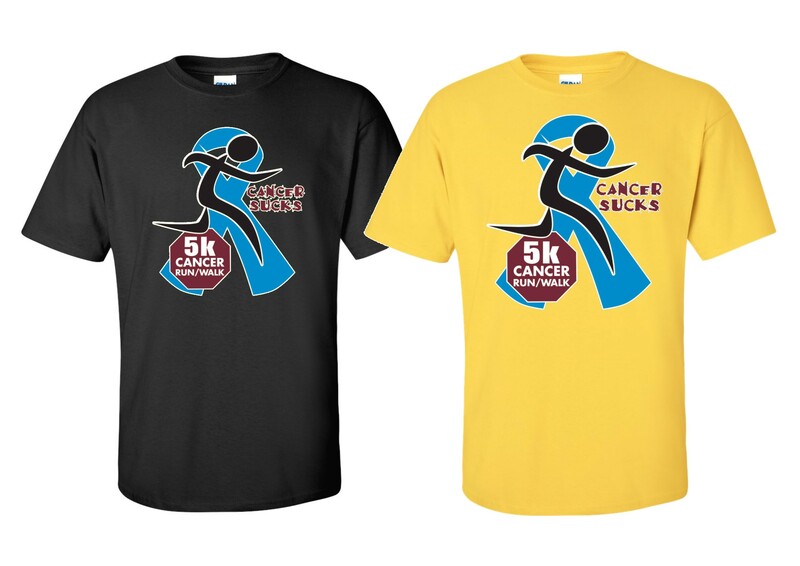 Medal with 2-color ribbon and Gildan soft cotton T-Shirt in the size and color of your choice. 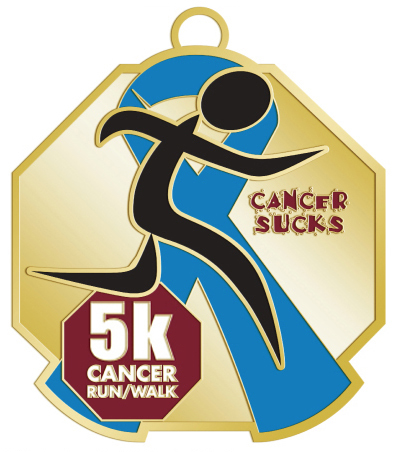 Medal with 2-color ribbon, a Runner' Charm, and Gildan soft cotton T-Shirt in the size and color of your choice. Polished medals in gold with high gloss colors and a 2-color neck ribbon. Shoe Charm!